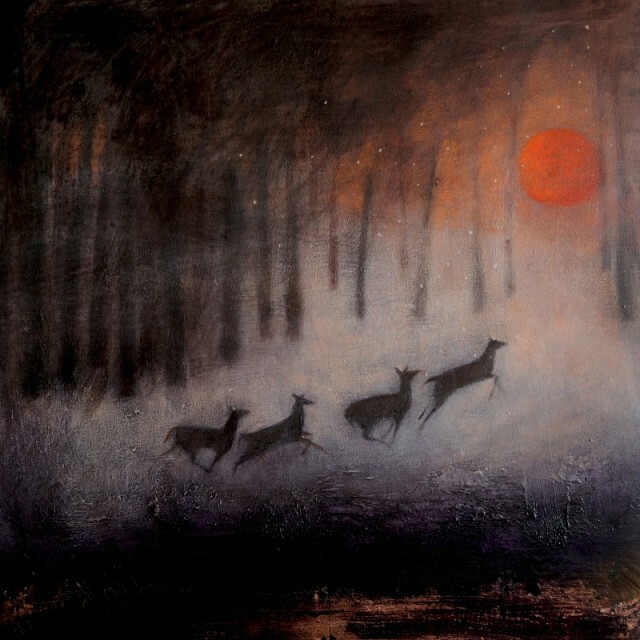 The Running Of The Deer is the latest collection of paintings by Cornish artist Catherine Hyde at Foss Fine Art. Well known for her atmospheric and symbolic paintings this rich and sumptuous collection focuses on imagery drawn from early carols and poems to create a body of work that celebrates the winter season. The show also features works from “The Star Tree” (published this summer by Frances Lincoln), Hyde’s dreamlike and lyrical picture book for children.